Store at 32-38F in high humidity. Widely naturalized weed in North America. Roots are somewhat similar to carrot (D. Carota var. sativa) but not as big nor as bright orange. 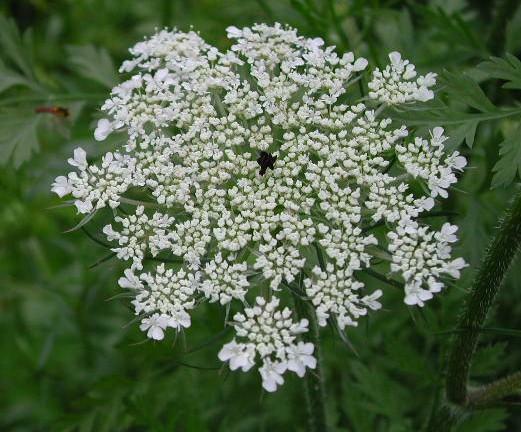 Ammi visnaga (false queen anne’s lace or bisnaga) is sometimes confused with this species but this species has green flowers. Similar flowers often sold by florists are actually Ammi majus (Bishop’s Weed). Because stems are easily water-stressed, it does not perform well in floral foam unless stems are cut short.